There are so many popular dog training methods out there that it can be frustrating to find out which is which and what method is going to be best for both your dog and you as an owner. If you find it overwhelming and confusing, you’re not alone. There is even a great deal of disagreement within the professional dog training community about which methods are effective and ethical, and several methods overlap or are used in tandem for the best results. Here are seven of the most popular dog training methods used today and who might benefit most from using them. Alpha dog or dominance training relies on a dog’s instinctual pack mentality to create a relationship of appropriate submission and dominance. 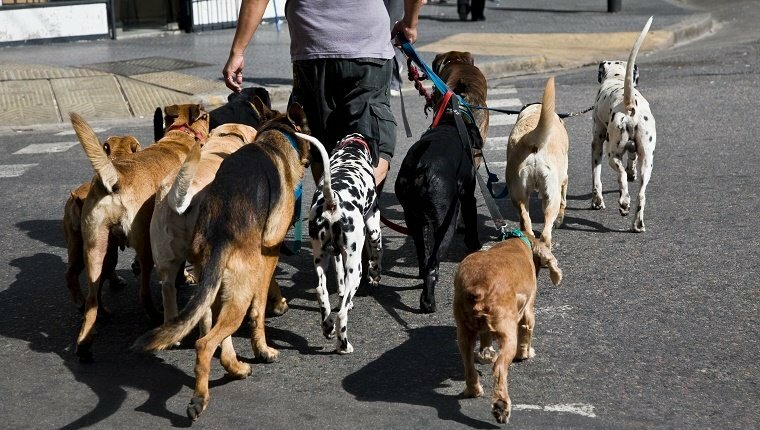 The theory suggests that dogs see their family as their pack and follow a social hierarchy like wolves in a pack. When dogs see themselves as the alpha, they need to learn to instead respect their human as the alpha and submit. Some methods used in this technique include understanding dog body language and responding accordingly, projecting confidence and authority, and going first when it comes to eating, entering or leaving rooms, or walking on leash. If your dog wants to go out, then they have to sit before you open the door. If they want to eat, then they have to wait calmly while you prepare food. Generally with alpha training, you don’t allow your dog on furniture with you, including the bed. You also don’t get down to your dog’s eye level. That’s because these are signs that your dog has equal standing in the relationship. You are in charge; you are dominant. Cesar Millan popularized this training method. However, he sometimes combines dominance training with other methods when appropriate. Some modern trainers say this technique is outdated as new research has shown that dogs do not rely on pack mentality as much as previously thought, and the pack dynamic of wolves isn’t structured in the wild the same way it was when the animals were observed in captivity. Although dominance training can curb unwanted behaviors, modern dog trainers often find it antiquated. It can fail to address the underlying causes of bad behavior and leave dogs feeling anxious or fearful. The dominance struggle becomes constant and needs consistent reinforcement, which can be difficult or even dangerous for children or the elderly. Purely positive reinforcement is a method popularized by trainers like Dawn Sylvia-Stasiewicz, who trained the Obamas’ dog, Bo. The theory behind it is fairly straightforward. 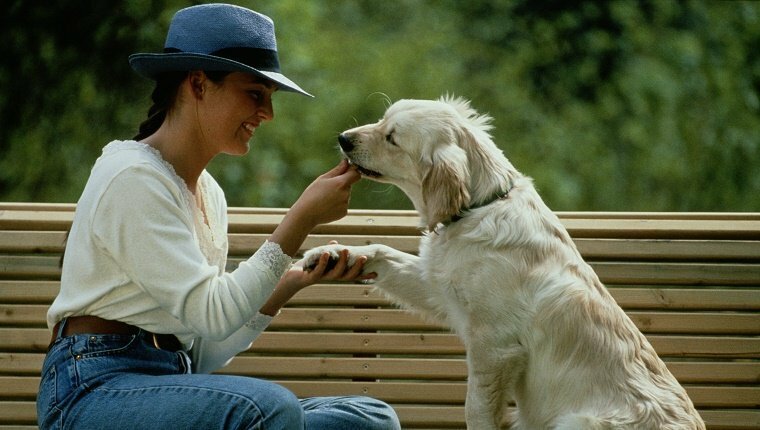 Dogs will repeat good behavior when it’s followed by a reward. Bad behavior does not get a reward or acknowledgement. If punishment happens, it comes in the form of removal of rewards, like a toy or treat being taken away. Harsh reprimands or physical punishments aren’t necessary. This training method begins with rewarding a desired behavior immediately, within seconds, after it happens. That way the dog comes to associate the behavior with the reward. Some trainers combine this method with clicker training (see number 4 below). This gives the dog a distinct sign of the exact moment the behavior was completed. Commands also need to be short and to the point. Sit. Stay. Come. Positive reinforcement requires consistency. Therefore, everyone in your household needs to use the same commands and reward system. Start with continuous rewards every time your dog does the right thing. Then, gradually move to intermittent rewards as the behavior becomes consistent. Sometimes beginner trainers accidentally reward bad behavior. For example they might let the dog outside when they start barking at a squirrel or another dog. Only wanted behaviors get rewards, which can include treats, toys, praise, and pets. It can also be easy to overfeed when your dog is learning, so use small treats when you are rewarding with food. This method is great for learning commands, but you need patience for correcting unwanted behaviors. Science-based dog training can be difficult to define as it relies on information that is continually building and changing. It aims to understand dogs’ nature, their ability to be conditioned, and the effectiveness of rewards and punishments. Animal behaviorists are constantly creating new studies and experiments to shape our understanding of dog psychology. Trainers rely on these studies to work with dogs. Before a behavior is corrected, everything about that behavior must be understood. Because science-based dog training is so broad, it’s hard to pinpoint an overarching methodology behind it. In fact, a lot of the methods used in scientific dog training are used by other forms of training. For the most part, there is a reliance on operant conditioning, which mostly includes positive reinforcement and, less often, some forms of punishment. Some scientific trainers believe that it is also important to learn how to strengthen good behavior without the need for rewards and to rely on dog psychology to find ways to improve off-leash relationships between owners and their pups. Scientific training relies on doing a good deal of research and staying updated on the latest studies. For that reason, it may be best for professional trainers, since the methods they use are often effective whether you know the science behind them or not, and other forms of training already employ many of those methods. Also developing new methods based on research may not be appropriate for everyone. Still, it’s a good idea for dog owners to stay informed and pay attention to new research when it becomes available. Clicker training is also based on operant conditioning and relies heavily on the same principles as positive reinforcement. In fact, clicker training may be grouped in as a method of positive reinforcement, rather than as its own form of training. It relies on the use of a device to make a quick, sharp noise, such as a whistle or, as the name suggests, a clicker to signal to a dog when a wanted behavior is accomplished. 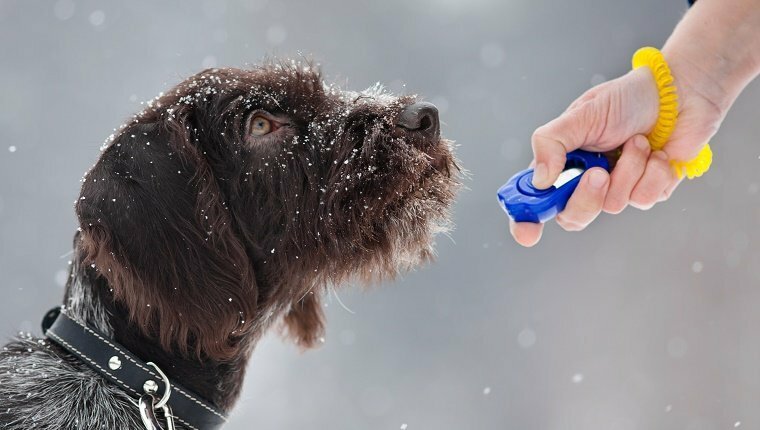 The advantage of using clicker training is that it signals the exact moment the desired behavior is finished and exactly what is being rewarded. Trainers can then use the clicker to shape new behaviors and add verbal commands. First, the dog needs to be conditioned to know that a click means a reward is coming. Then the dog can associate a behavior with a click and a reward. Finally, the verbal command can be introduced to form a new association. This is a great method for learning new tricks, and it can help shape the basics into more complicated tasks. Many professional trainers use this method. While it is great for learning new behaviors, clicker training isn’t necessarily well-suited for curbing unwanted behaviors. When used alongside other training methods, it can be very effective in making sure you have a well-trained, well-behaved pooch. Electronic training relies on the use of an electric collar that delivers a shock or a spray of citronella when a dog is not performing a desired task. It’s mostly used for training at a distance when a leash can’t be used. For example, shock collars can train a dog stay within the boundaries of an un-fenced yard. 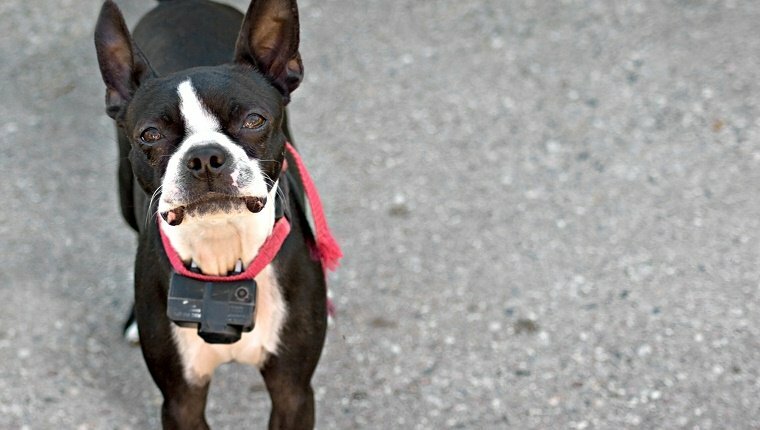 A remote collar can teach dogs to work in fields or do hunting work. People who use these devices claim that there is less risk of a dog getting hurt by a choke collar or other mechanical devices. There are many problems with this training method. One is that it relies on punishment for bad behavior instead of rewards, meaning a dog learns what it’s not supposed to do, rather than what it is supposed to do. Another problem is that it can create a great deal of stress and lead to permanent anxiety issues for dogs. The devices are often used by inexperienced owners, and therefore are overused. This can cause a lot of unnecessary pain, both physically and psychologically, for dogs. 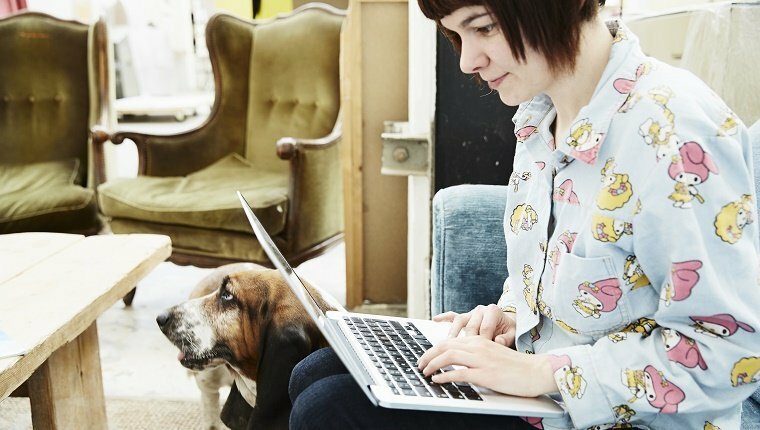 Professional dog trainers may see desired results from electronic training, but it is definitely not for use by average owners. There are many alternatives that put dogs under far less stress and pain. If you are going to use an electronic device, consult a professional about the proper use and consider an alternative form of behavior correction. 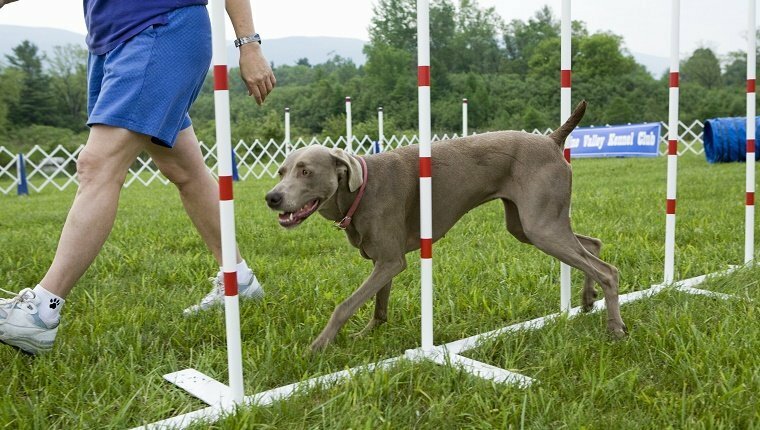 The model-rival method of training relies on the fact that dogs learn by observation. By providing a model of good behavior or a rival to compete for resources, dogs learn to mimic behaviors. So a trainer might have another human act as the model, praising them for completing tasks on command or scolding them for unwanted behavior. The dog, as an observer, learns what to do correctly from the model. The model can also act as a rival, competing to do the right task for a desired toy or treat as a reward, encouraging the dog to pick up on the task and accomplish it more quickly. Mirror training relies on the same principle, using the dog owner as a model, then offering rewards for mimicking good behavior. It uses the dogs natural instincts to operate socially instead of working against them. To put it simply, the dog learns by example. This training method operates with a similar level of success as positive reinforcement and operant conditioning. However, some trainers may find it more natural and preferable. If your dog has a strong bond with you and can spend a lot of time observing you and following you around, this may be a technique that you find more comfortable than sticking to regular training sessions. 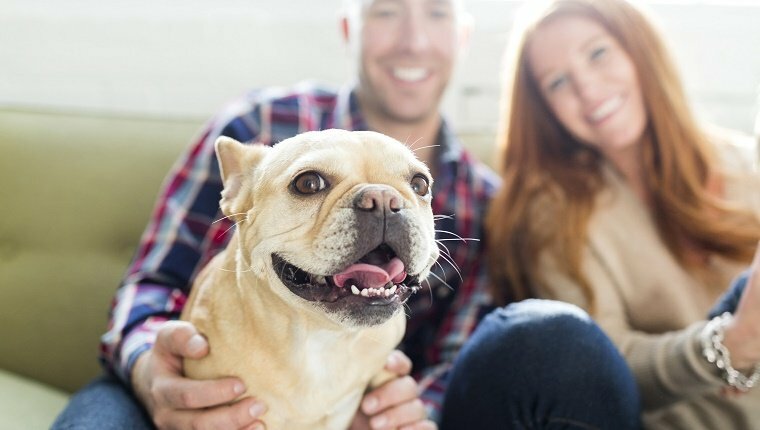 Relationship-based training combines several different training methods, but focuses on a more individualized approach for both dog and owner. It is the relationship between dog and human that drives everything. This method strives to meet the needs of the dog and the trainer, to foster communication, and to strengthen their bond. Basically, it’s about being mutually beneficial. The owner must know how to read their dog’s body language, what rewards most motivate their dog, and how to meet their dog’s basic needs before each training session begins. Positive reinforcement encourages good behaviors. The dog’s environment is controlled to limit possible unwanted behaviors. New information is built on previous success. For example, a dog must learn to “sit” in a quiet room before trying to perform the command in a park with squirrels and kids and other distractions. Difficulty increases gradually. When a dog doesn’t perform the desired behavior, the owner must figure out why instead of punishing. Is the dog focusing on distractions? Hurt? Unable to hear? Or just unwilling to perform? This relationship-based training leads to a deep and meaningful bond, but it takes time and patience. It may not have enough to differentiate it from other training methods, but rather seems to be inclusive of many aspects of other successful methods. You may find that your relationship with your dog improves regardless of which training method you use, and certainly that bond will help you continue your training. What dog training method works best for you? Are there any other methods that you find helpful? Let us know in the comments below!